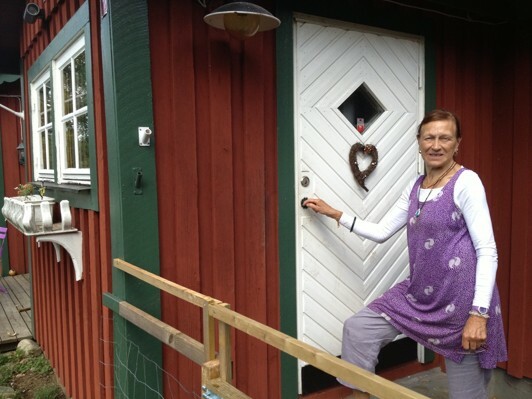 In July 2011 I moved to Hjärnarp, to my roots on my fathers side. It was time for a new phase in my life. After persistent searching for a house I finally found Bjäragården on the south side of the Hallandsåsen Ridge in Hjärnarp. Here was the stable and the enclosure for the planned Alpacas, the garden for my Dalmatians and cats. The treatment room was also there, in a beautifully glazed porch... I felt very blessed and thankful. Yet another journey – this time to Bhutan – gave inspiration. And autumn of 2013 I started to offer treatments with the Rosen method, massage, meditation and liberating dancing. I also welcome clients for support dialogue and coaching. I also breed Dalmatians and Alpacas. You are most welcome to visit me at the foot of the Hallandsåsen ridge!